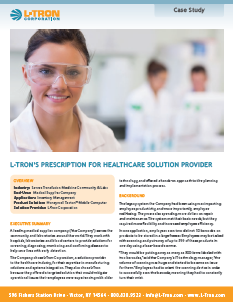 When a leading medical supplies company needed a new solution to scan their products into inventory, they turned to us to get the job done. We were able to replace their sensitive barcode scanners with Honeywell Tecton™ Mobile Computers. These mobile computers have a longer battery life than their scanning predecessors, while offering a faster, more accurate solution to their inventory needs. Read this case study to find out how you can benefit from upgrading your data entry solution as well.